No matter how long we serve as a law firm for Medicare fraud matters, we continue to be appalled by the nature of these crimes. These crimes often involve more than just shifting money into the perpetrators’ wallets. Medicare fraud often directly impacts the care beneficiaries receive or, in some cases, the care they don’t receive. We are also disturbed by the number of people involved in certain frauds like the wide-ranging scheme to profit from prescribing unneeded medications to nursing home residents. While there are often more active participants than we’d like to imagine (i.e. more people willing to risk others’ well-being for profit), many more are silent observers. It is these individuals who have the most power when it comes to fighting fraud – they can become the whistleblowers in False Claims Act whistleblower litigation. Earlier this year, The Kentucky Center for Investigative Reporting examined a plot to profit from using pushing the (over)use of certain medications by nursing home residents. To understand the schemes, one needs to know that specialized companies operate nursing home pharmacies. 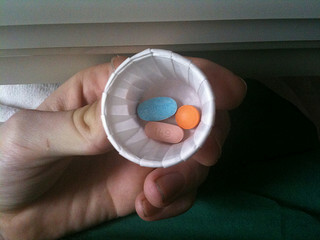 These providers, including PharMerica and Omnicare “occupy a strategic place in the flow of drugs to nursing home patients,” buying medications from pharmaceutical manufacturers and often repackaging them in foil packs referred to as “bingo cards” before dispensing them to nursing home residents via the company’s consulting pharmacists. According to the article and assorted legal actions against the companies, drug companies including Abbott Laboratories and Amgen, Inc. paid millions of dollars in kickbacks and other financial incentives to encourage distributing pharmacies to push certain medications. Agreements between manufacturers and in-house pharmacies allegedly called for shifting patients from competitors’ products onto company medications. In some cases, medications were purportedly promoted for uses not approved by the Food & Drug Administration. Other cases have claimed the same players encouraged pharmacies to dispense strong painkillers without the necessary prescriptions. Medicare and Medicaid paid large amounts of money for medications allegedly prescribed because of the potential profit, rather than because of the drugs benefited patients. Acts of the sort alleged not only misdirect government funds, they also put patients at risk by giving them inappropriate and/or unproven medications. Lawsuits on the government’s behalf have resulted in settlements pursuant to which several defendant companies paid large sums (in one case the drug manufacturer paid $1.5 billion in fines) while generally denying wrongdoing. For the alleged acts to have occurred, multiple companies and numerous individuals had to play active or passive roles in the conspiracies. Still, some people refused to assent. Drug company insiders were responsible for initiating litigation on the government’s behalf aimed at recovering wrongly gained profits and stopping drug promotion schemes. Many of these suits were filed pursuant to the False Claims Act which specifically provides for civil actions brought by private parties on the government’s behalf. These suits are commonly referred to as whistleblower actions or by the legal term qui tam litigation. While most whistleblowers speak up because they believe it is the right thing to do, the Act does provide for a reward if the information in the suit leads to a recovery of government funds. Our work can make us angry and confused by a world in which so many people assent to wrongs that steal from the American people as a whole and endanger the lives of some of the most vulnerable individuals. However, working with health care fraud whistleblowers reminds us that the honest people are out there. If you’ve witnessed what you suspect is government fraud and you want to do the right thing and fight back, but you aren’t sure how – that’s where we come in. We have the legal expertise to help you fight for what you know is right. Call to arrange a free consultation.